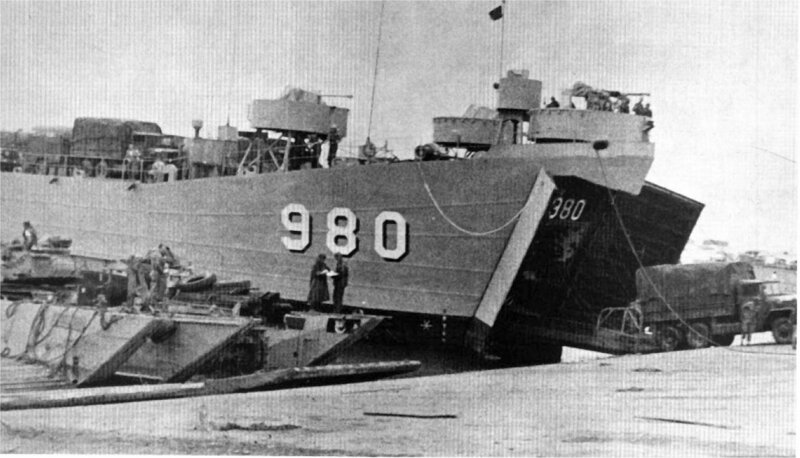 Laid down, 9 December 1943, at Boston Navy Yard, Boston, MA. 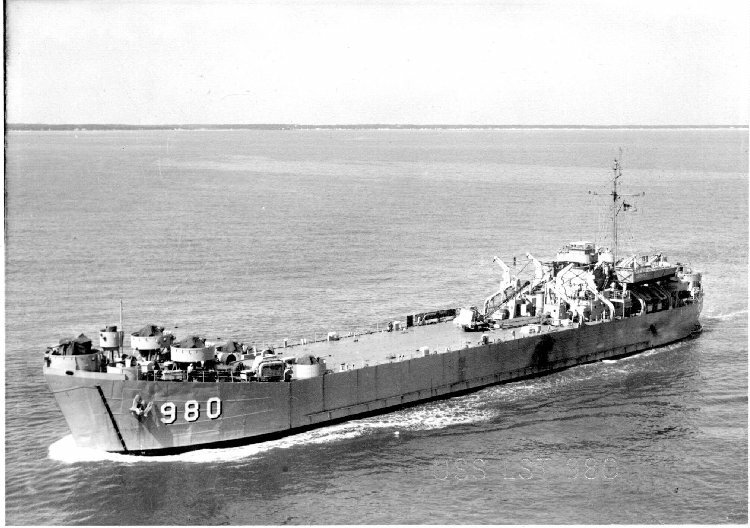 Decommissioned, 16 December 1955, at Green Cove Springs, FL. 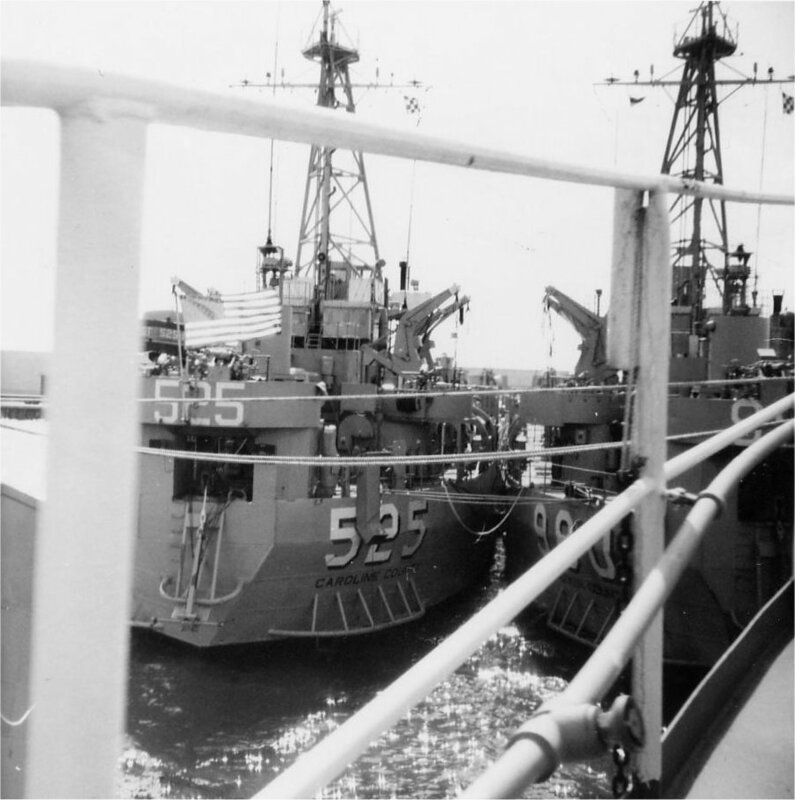 Recommissioned, 23 September 1966, at Baltimore, MD. 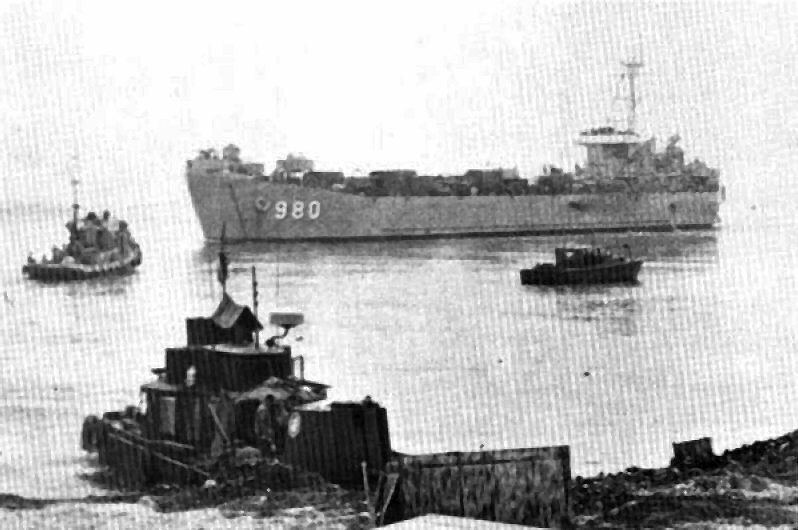 Decommissioned, December 1970 at Bremerton, WA. 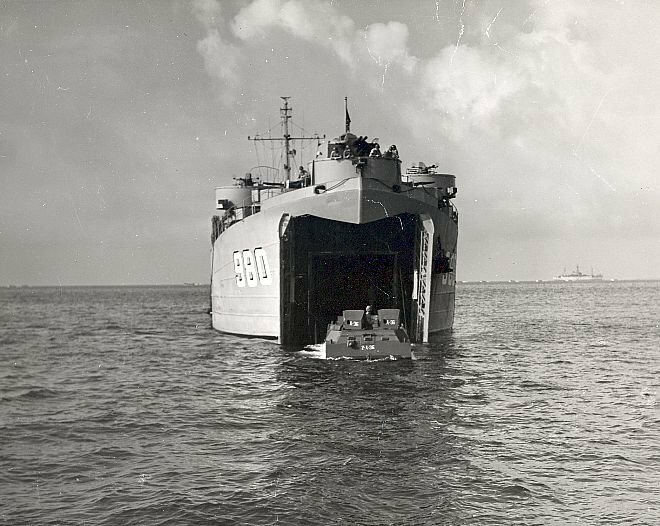 85k USS LST-980 unloads an LVT during "Exercise Camid III", for an "assault" on Bloodsworth Island in the Chesapeake Bay. 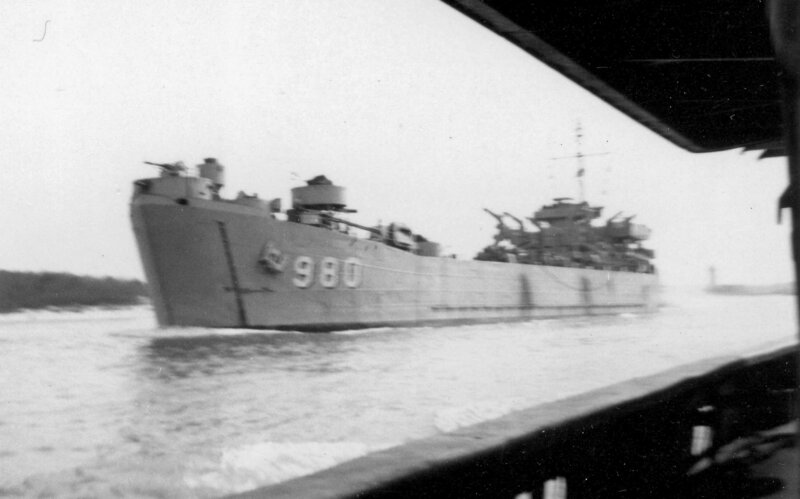 US Navy photo # USN-705980 released 20 August 1948. 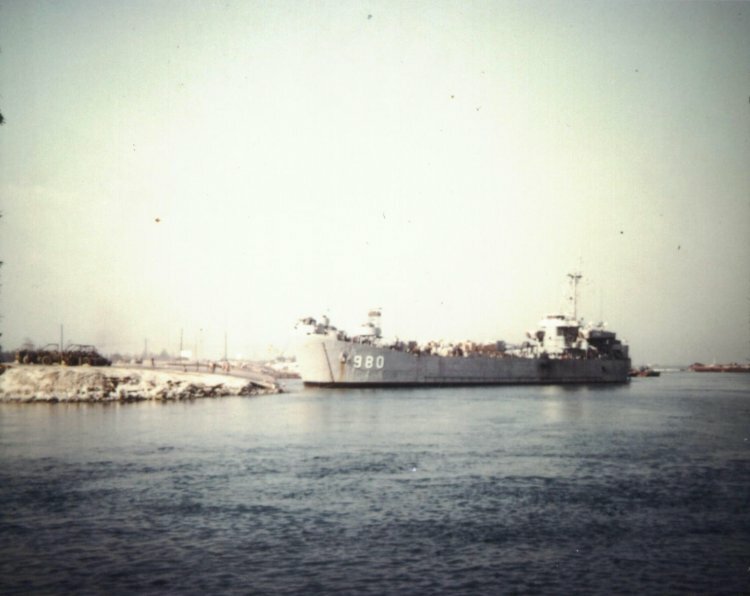 James D. Bass Jr.
271k USS Meeker County (LST-980) loading US Army 5th Calvary Division vehicles for trip to Chu Viet, South Vietnam, location unknown, circa 1967-68. 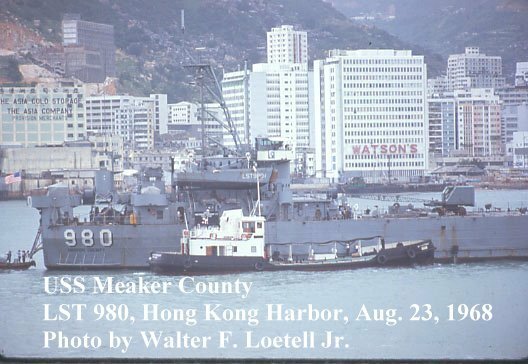 71k USS Meeker County (LST-980) arriving at Chu Viet, South Vietnam to off-load US Army 5th Calvary Division vehicles, circa 1967-68. 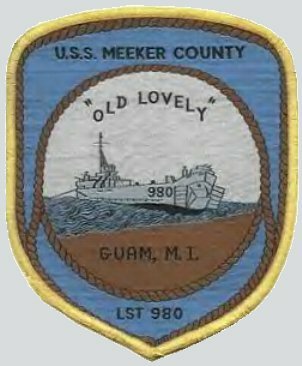 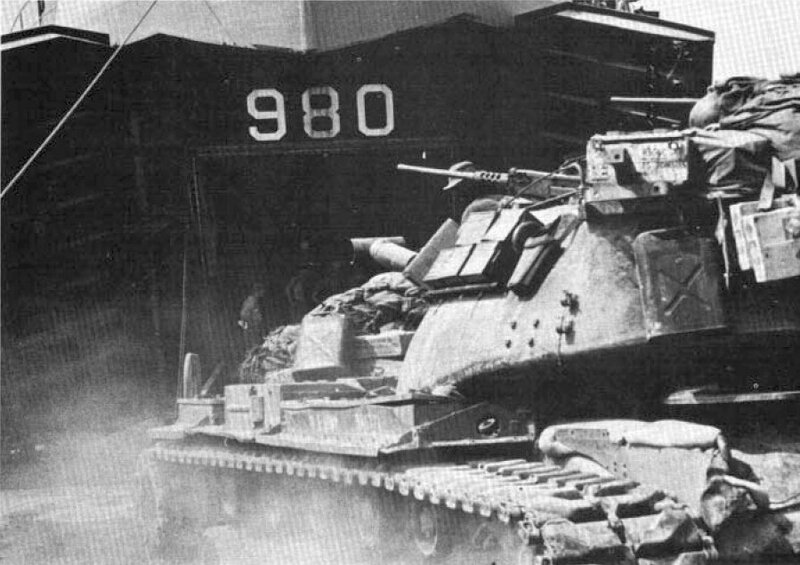 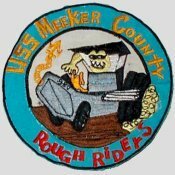 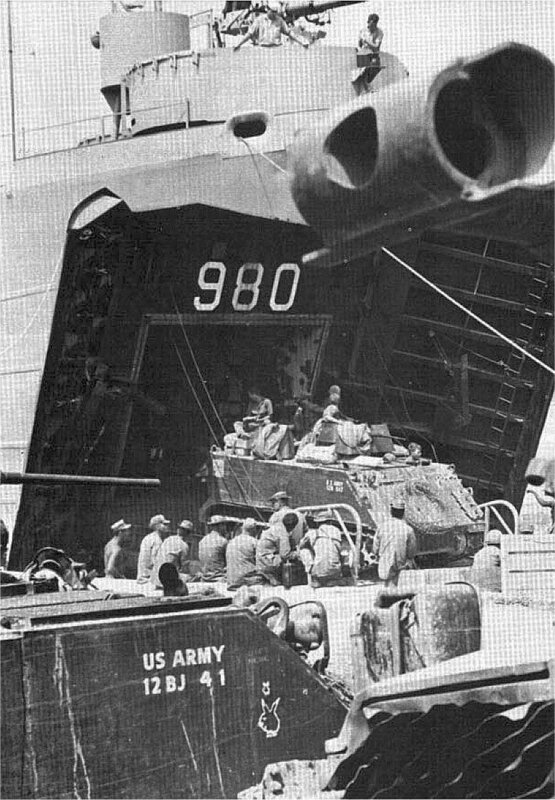 186k USS Meeker County (LST-980) off-loading US Army 5th Calvary Division vehicles at Chu Viet, South Vietnam, circa 1967-68.